Harbert Corporation and its affiliated entities reached an agreement with the United States Department of Justice to settle long-standing False Claims Act allegations. According to the settlement, the international construction company had conspired to rig the bidding process for government contracts in order to maximize private profits at the expense of the government and taxpayers. The settlement will recover $47 million on behalf of American taxpayers. 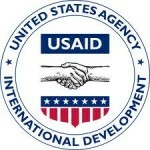 Harbert and its affiliated entities engaged in the bidding process for a construction contract to build a sewer system in Egypt, a project funded with taxpayer dollars by the United States Agency for International Development (“USAID”). Based upon information provided by a whistleblower, who first brought allegations of wrongdoing to light in a lawsuit filed under the qui tam provisions of the False Claims Act, the Government suspected Harbert of collusion through paying off other companies to submit intentionally high bids or withholding bids. The False Claims Act prohibits an individual or organization from making false claims, or causing a false claim to be made, to the federal government. To aid in prosecuting instances of False Claims Act violations, the government encourages potential whistleblowers to report violations by coming to the government with information and by filing a suit on behalf of the federal government. Whistleblowers may receive up to 30 percent of the recovery obtained by the government as a reward.